Where and When Does it Come From? Historically speaking, “Krishna Consciousness” in its exact current form began in West Bengal, India towards the very beginning of the Modern Era of human history at the end of the fifteenth century. The founder was Sri Krishna Caitanya, more simply called “Mahaprabhu,” the Great Master. It existed in slightly different forms long before that, dating back at least to the earthly advent of its central figure, Krishna, roughly 50 centuries ago in North-Central India. Philosophically speaking, “Krishna Consciousness” refers to the inherent state of enlightenment. There have always been such enlightened souls in the universe, so Krishna Consciousness has existed in some form or another since the dawn of existence. Who is Krishna? Who am I? 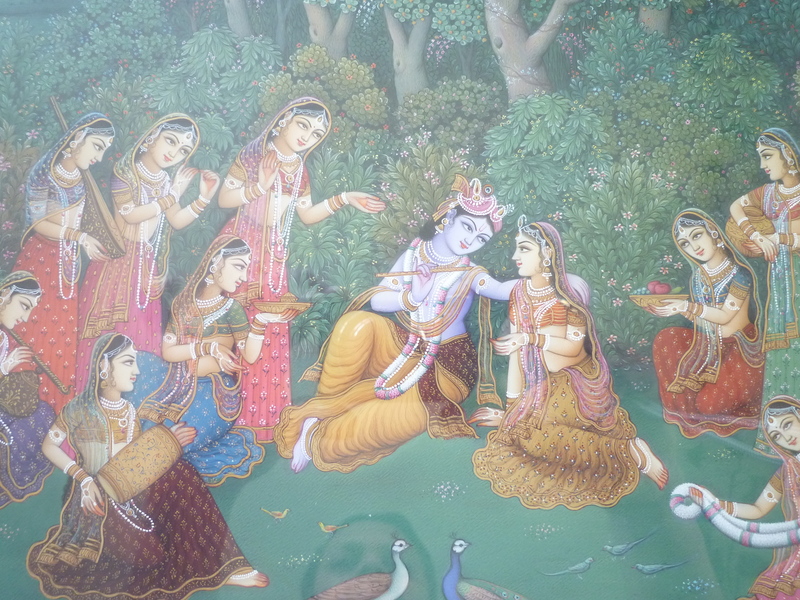 Krishna is the One Being from whom all beings emanate, but being “one” has an imperfection – loneliness. That is why the one becomes many and eternally manifests countless persons, places and things; including me and you. Who am I? I am not this temporary physical body, nor am I any emotion or concept connected to my body. I am an eternal fragment of Krishna. Like my source, I too desire not to be lonely. Both Krishna and I want to experience the joyful feelings of oneness and togetherness that are inherent in the emotions of love. While under the influence of illusion I seek this fulfillment apart from Krishna, but when enlightened I realize unlimited fulfillment of these desires by focusing them their original source, Krishna. How Do I Realize Krishna and Become Enlightened? I simply need to practice doing things for the sake of sharing joy with Krishna. There are unlimited possibilities, but a simple and effective way is to lend my ear to hearing about Krishna’s all-attractive, divine personality. Hare invokes the Goddess of Love. Krishna invokes the supremely enchanting and attractive Godhead. Rama invokes the source of all joy. Hearing and reciting these names for the purpose of sharing oneself emotionally with Krishna is the primary method of enlightenment on the path of Krishna Consciousness.